How Do You Carpet Stairs? 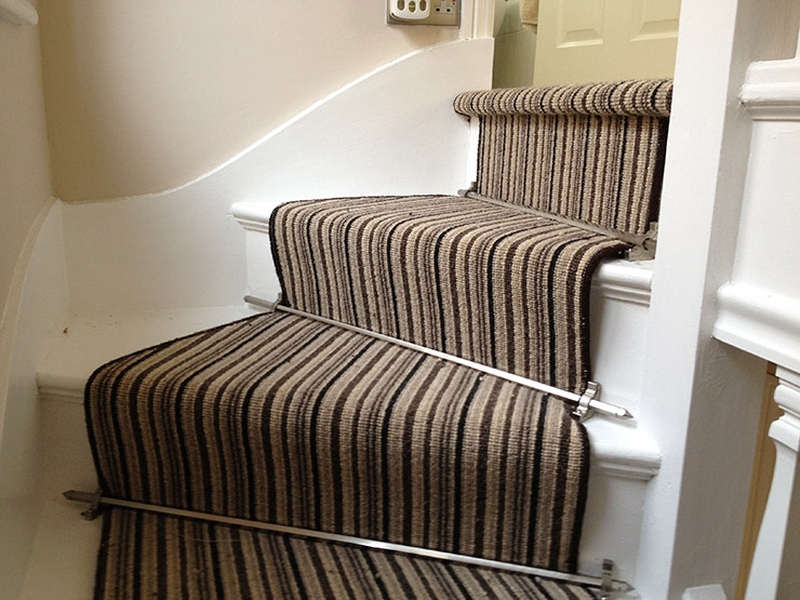 To carpet stairs, staple carpet padding to each stair, cut the carpet to size, and attach it with staples. To complete this project, you need carpeting, padding, staples and an electric stapler. Cut a piece of carpet padding for each stair tread, and tack it down with a hammer staple. Cut the carpet to the width of the stair tread, and cut the length based on the total of the width of the stair tread, the length of the nosing, and the height of the riser. To prevent the edges from unravelling, finish them with a binding machine, or add an extra inch to the width to turn under and tack in place. The traditional method of installing carpet involves tightly wrapping the carpet around the tread, the nosing, which is the front edge, and down the riser. Start at the bottom, and move up the stairs. Use an electric stapler to secure the carpet underneath the nosing. For a more modern look, use the waterfall method. Let the carpet flow from one stair to the next, and do not tightly wrap it around the nosing. To secure, staple across the rear of each tread. If the carpet has a small pattern, the waterfall method works best. Server responsed at: 04/18/2019 1:02 p.m.